Azure IoT Central brings the simplicity of SaaS for IoT with built-in support for IoT best practices, and world class security and scalability with no cloud expertise required. We have been constantly adding new features, and true to the promise of SaaS applications, you can just start using these features right away to build production-grade applications without worrying about managing infrastructure. Since entering public preview, IoT Central has implemented a number of new features, capabilities, and usability improvements. We will dive deeper in to many of these features in the future, but for now we’d like to focus broadly on what new features have landed in IoT Central. Previously, devices could be measured by telemetry or by events triggered. Now, users can measure their devices qualitatively by defining device states. State measurement enables devices to report the current state of the overall device or its components. For example, a connected air conditioner may have two states (stopped and operating), and a user can see all connected devices and their current state. For more information, please visit the state measurement documentation. 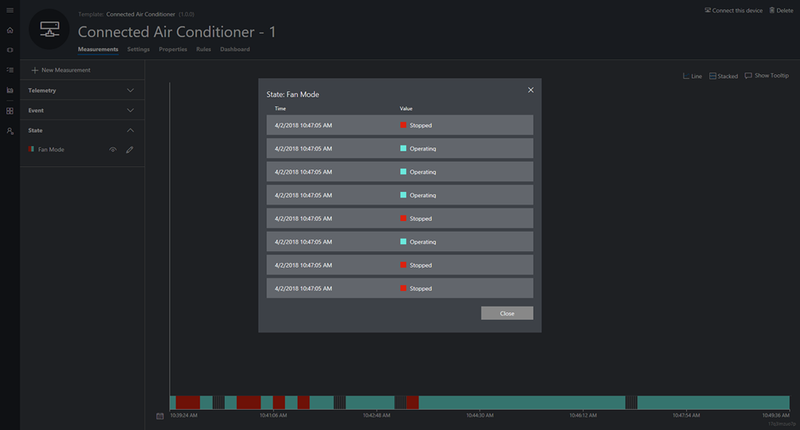 IoT Central is continuing to expand remote monitoring capabilities by adding support for device event monitoring. 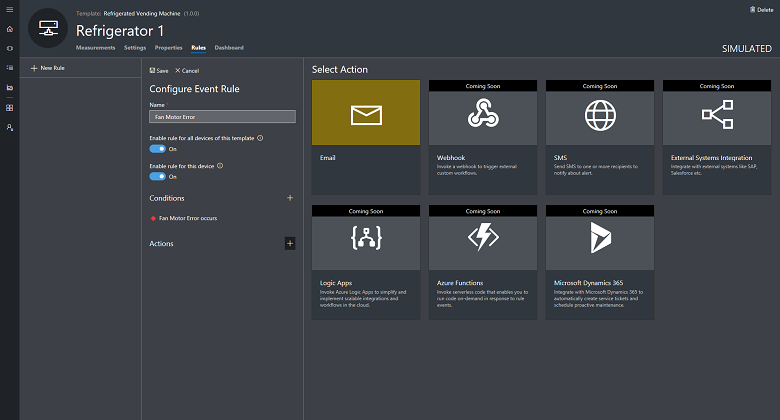 Using a simple and intuitive UI, users can now set up rules to monitor any critical events from their devices and get alerted within minutes of an issue occurring. To learn more, please visit the event monitoring documentation. Connecting a large number of devices to IoT Central can be difficult. Previously, connecting these devices at once was an error-prone, overly manual process that took a lot of time to set up. Now, users can register large numbers of devices in IoT Central at once, using a simple csv file that can be created by hand or exported from existing asset management or ERP systems. Additionally, users can download device identities and the corresponding device connection strings as a csv which can be used to automate the process to flash credentials onto devices. With this change, applications can be scaled up and duplicated much more easily. 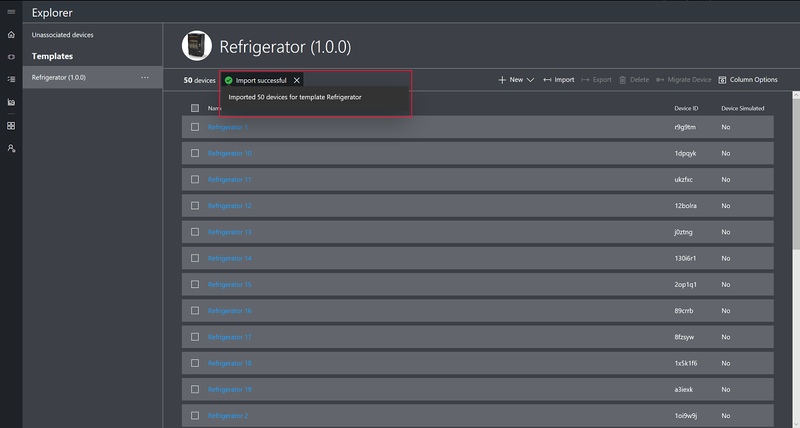 Learn more about importing and exporting devices. 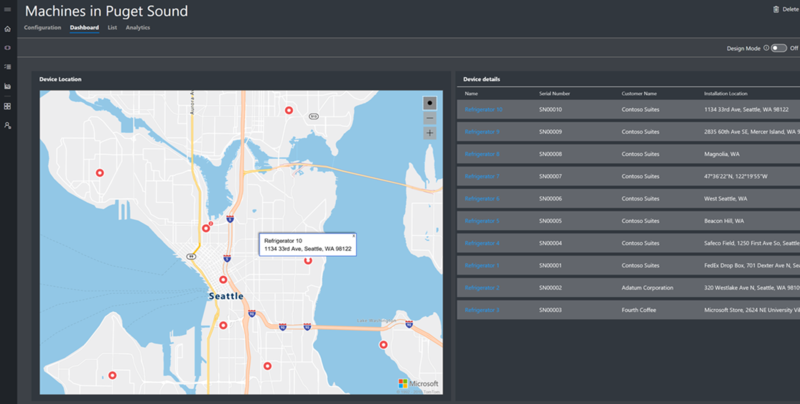 As mentioned in the blog post Location and Maps in Azure IoT Central powered by Azure Maps, IoT Central now leverages Azure Maps. This new feature set enables powerful new geospatial services for many use cases. Users can give geographic context to their location data and enter location properties, which allows them to validate location information, spatially reference device locations, or geofence use cases around their device. 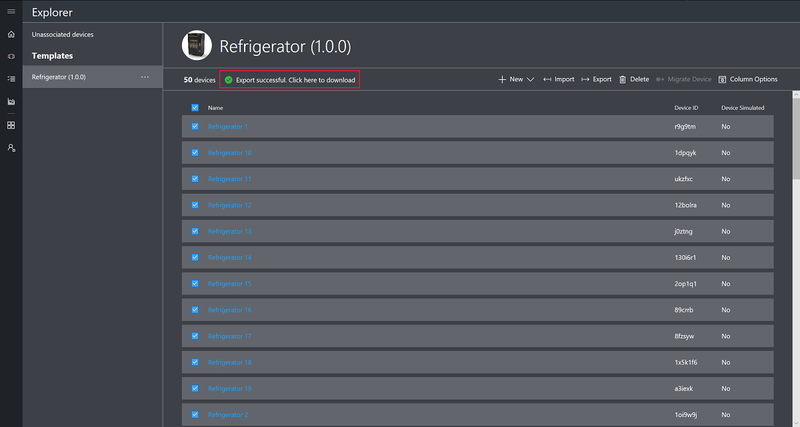 We’ve made it easier to try out IoT Central. A user can now try out IoT Central without an Azure subscription. Only an email address is needed to set up an account. 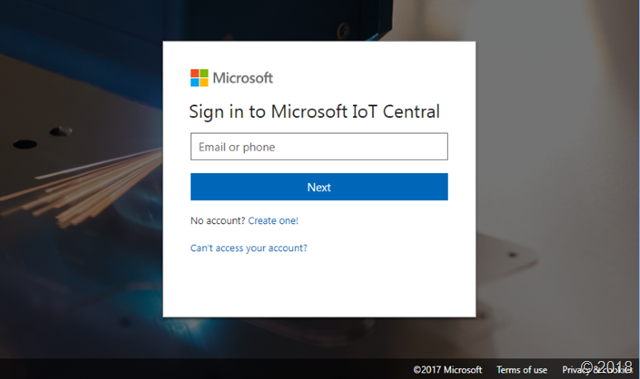 Learn more about how to get started with IoT Central today. The administration section of IoT Central has gotten several usability improvements. Previously, users would need to reach out to a customer support specialist, but now can administer their trials themselves. 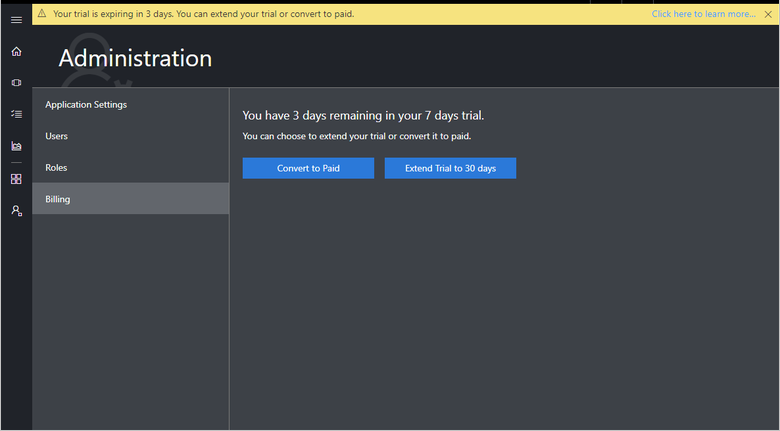 A user can now extend their trials, convert to paid, and manage application settings from the administration page within the application. Learn more about how to administer your application.